Spring is here and the BBQ is starting to work overtime! Here’s my favourite grilled lamb chop recipe, not only because it is super easy to prepare but most importantly because I wooed the man I would marry on the third date with these lamb chops! They say you can win a man’s heart through his stomach. I’m sure there’s more to that, but I agree that good food does help! 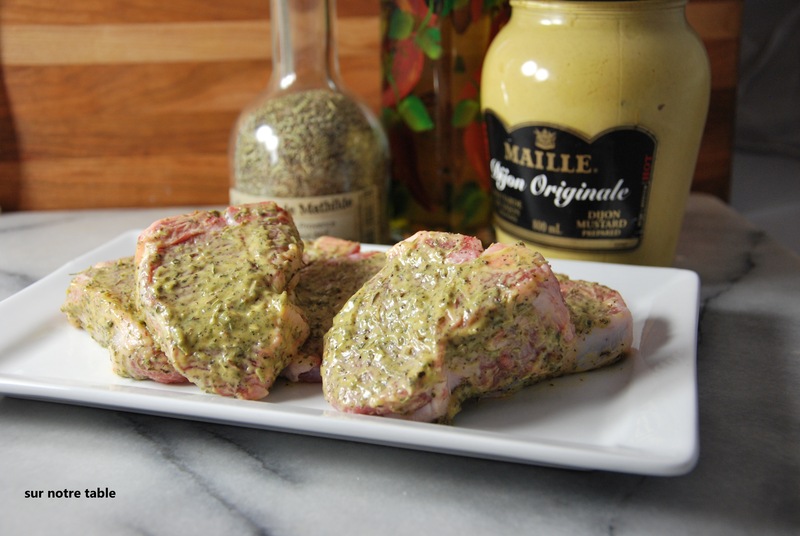 And serving lamb with mint jelly just doesn’t cut it, so if you want to make a lasting impression, whether for your date or for your guests, the best way to savour lamb chops is by grilling them on the BBQ with a herbes de provence marinade. Mix first 6 ingredients together in a small bowl. Rub marinade lightly on each of side of the chops, you don’t want the marinade to overpower the meat as the meat is so flavourful. Let chops sit at room temperature for a half an hour. Or you can cover and refrigerate for up to 4 hours, just make sure to let the chops stand at room temperature at least 20 minutes before grilling. Heat grill at medium-high and grill each chop for 3-4 minutes each side depending on thickness (about 3 minutes if an inch thick and 4 minutes if thicker). 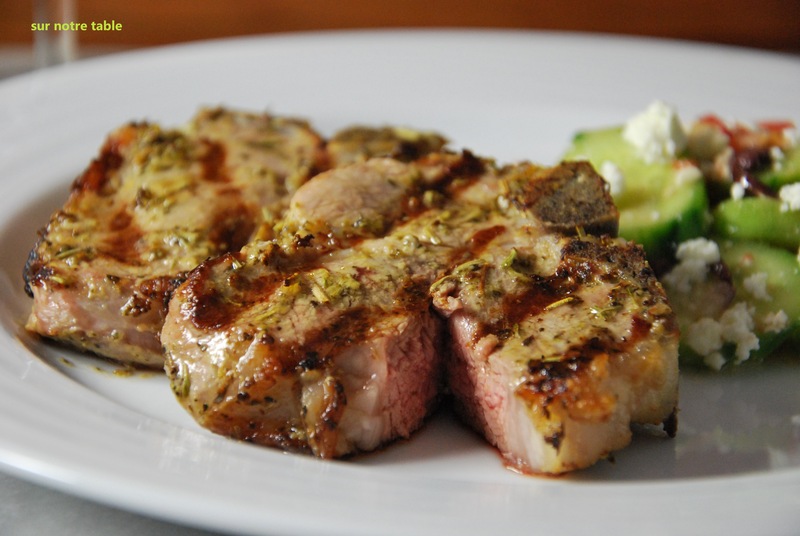 Ideally lamb chops should be served medium-rare to medium, often referred to as rosé. You can then let chops rest for 5 minutes before serving and then just squeeze a little lemon on top of each chop. 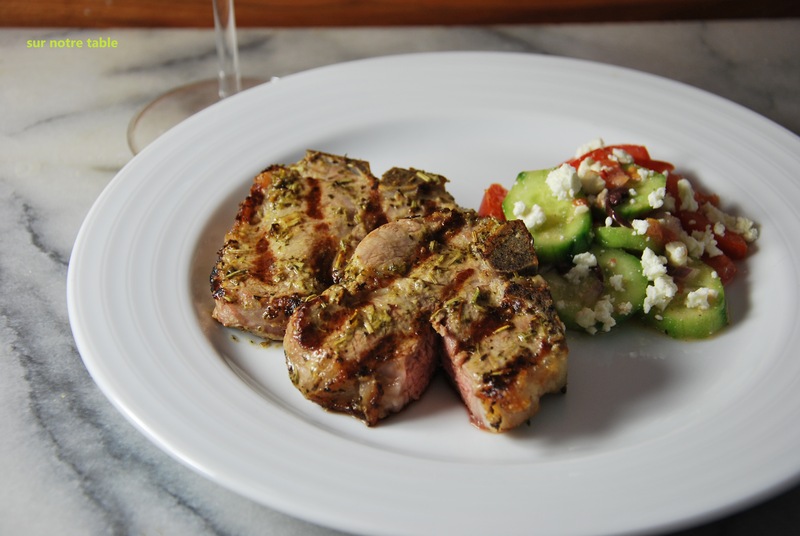 These lamb chops go well with a Greek salad. That’s it, it’s that easy! This entry was posted in BBQ, Easy, Main course, Make ahead, Meat and tagged dinner, easy, fast, favourite recipes, herbes de provence, lamb chops, make ahead by Caroline Reny. Bookmark the permalink.